CHICAGO, March 5, 2015 – Blueair today announced the Sense+, a Wi-Fi enabled air purification unit that marks Blueair’s contribution to the ‘Internet of Things’ and enhanced human health and wellbeing. Controlled by the new Blueair mobile 'Aware' app, the Sense+ offers a significant upgrade over the original Sense with a 30% higher clean air delivery rate (CADR), 24% more purification capacity, and a new color palette. Launched at the 2015 International Home + Housewares Show, Blueair Sense+ is a smart air purifier that improves upon the design prowess, whisper-silent operation, and exceptional cleaning power of the award-winning Blueair Sense. Like its predecessor, the Blueair Sense+ is capable of removing dust, allergens, chemicals, viruses, odors, and other indoor air pollutants from rooms at home and work. 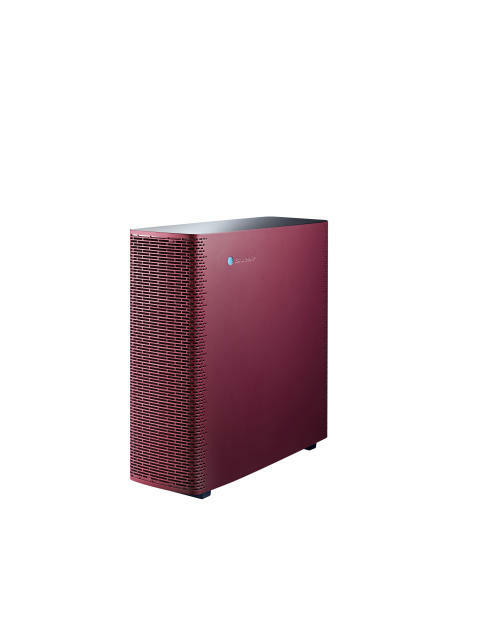 With an outstanding CADR of 130 cubic feet per minute (CFM) and the capacity to purify a 200 sq. ft. space (versus the Sense’s 100 CFM and 150 sq. ft.), the Sense+ is an innovation in both performance and technology. Combined with the new Blueair Aware™ air quality sensor, Sense+ owners can respond to real-time indoor air quality updates. The Blueair Aware™, also a Wi-Fi enabled device, monitors indoor air quality 24/7 and sends data to the Blueair mobile app. The Aware™sensor can detect levels of particulate matter (PM2.5), carbon dioxide, and volatile organic compound (VOCs) as well as temperature, air pressure, and humidity. This data empowers consumers to understand more about their surrounding air quality, detect dangers, and use the Sense+ when it is most needed. The new Sense+ offers an improved user experience, enhanced features, and stunning new design choices. The user interface, controlled by a simple swipe of the hand over the Sense+’s tempered-glass surface, includes a Wi-Fi strength indicator, a Wi-Fi connection button, and filter change indicator. With the Wi-Fi enabled remote control or Blueair mobile app, owners can turn the Sense+ on or off, adjust fan speed, set a timer, dim or sharpen LED intensity, program, night mode, enable child lock, and see when a filter change is needed. In addition, the new color palette goes bold with midnight blue, leaf green, and ruby red joining the Sense’s original polar white, warm gray, and graphite color options.